Windy until this evening and light rain this afternoon. Sippician Harbor and the town of Marion are located on the western shore of Buzzards Bay north of Mattapoisett and about eight miles south of the Cape Cod Canal. Peaceful, quite and easy to enter, the harbor is lined with thick groves of pine trees that may make you feel more like you are in Maine rather than Massachusetts. 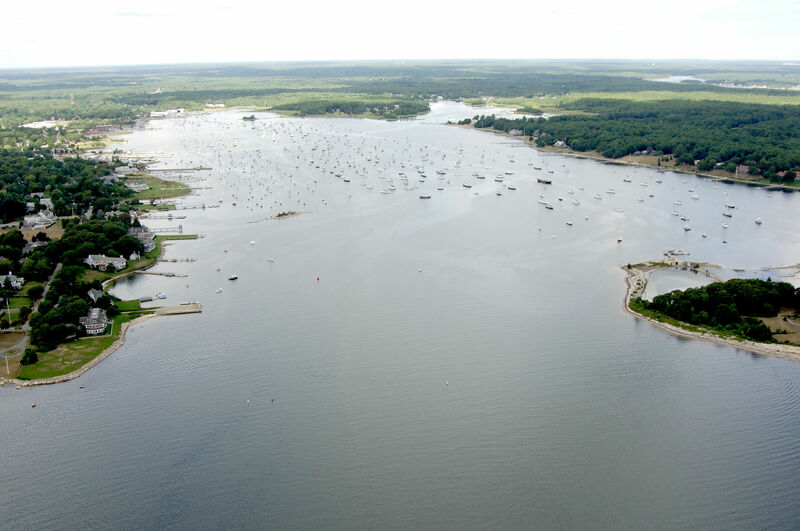 Tons of shops and marine facilities line the shore making this a very popular stopover point on Buzzards Bay. 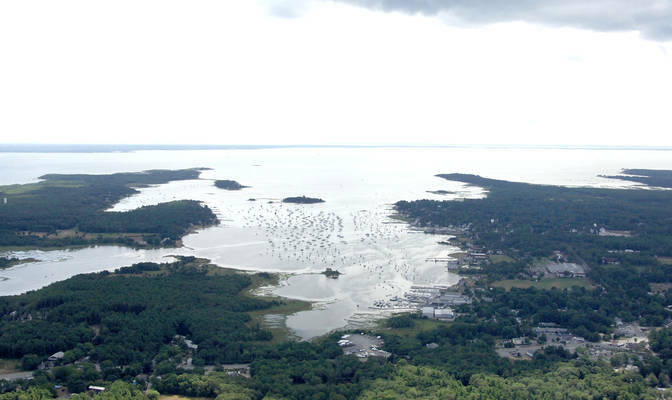 Marion is a small town, and it is one of a number of communities that are connected by water, all of which are located in Buzzards Bay. Marion is a town which captures the essence and heart of New England. The streets in the village section of Marion are lined with houses that are reminiscent of a time long since past. The New England charm of tree lined streets and white picket fences is evident throughout the village. There is still a General Store in the center of the village and the Post Office is directly across the street. Marion is also home to Tabor Academy, a well-known preparatory school. The picture perfect campus spreads out across the center of the town. Marion's harbor is listed on the charts as Sippican Harbor. It is one of the prettiest harbors in Buzzards Bay. In the summer the harbor is filled with boats of every size. 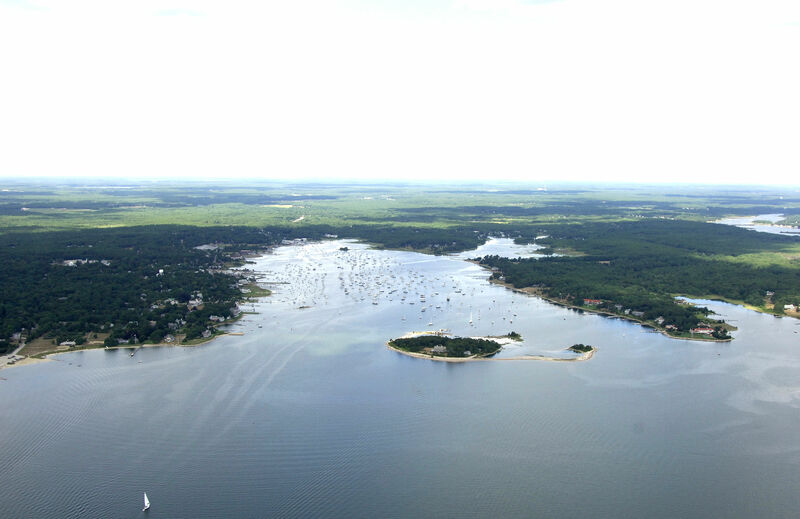 Buzzards Bay is a is known for its southwest winds that kick up a blow almost every afternoon. Any fog that may appear in the morning usually burns off to a haze, or clears in the afternoon. Nearby local harbors include New Bedford, Fairhaven, Cuttyhunk Island, Padanaram (South Dartmouth), Mattapoisett, Wareham, Onset, Monument Beach (Phinney's Harbor), Red Brook Harbor, Megansett, Quissett and Hadley Harbor. Nearby destinations include Nantucket, Martha's Vineyard, Westport, the Elizabeth Islands, Woods Hole, the Cape Cod Canal, Sandwich and Provincetown. After the Pilgrims arrived in 1620, different grants were issued to different towns. A grant was issued to Rochester and the land that it included is known today as Rochester, Marion, Mattapoisett and parts of Wareham. At the time Rochester was created, what is now known as Marion was known as Sippican, named for the Indian tribe that lived here. Many changes took place from 1815 to 1890. During the early and mid 1800's, Marion was mainly a home for sea captains and sailors. Marion boys went to sea at the age of 16 and worked their way up through the ranks to become mates and captains. There was one sailor for every three captains in Marion. These captains sailed everywhere, carrying cotton to Europe, cargoes to the Orient, and returning with products from the East. Many of them became wealthy and some built magnificent homes in Marion. Marion was also a small shipbuilding community, but Mattapoisett was a major shipbuilding town. Rochester found itself taking care of farming and logging. The first task that awaited the people of Marion was what to name their town. Instead of keeping the old Indian name Sippican, they chose the name Marion in honor of General Francis Marion, the Revolutionary War hero from South Carolina. From Buzzards Bay, pick up flashing red buoy "2" at Centerboard Ledge about three-quarters of a mile southwest of Bird Island. From here, set a course for flashing green buoy "3" at Converse Point, and then green can "5" a little farther in. Once you have cleared green can "5" near Seal Rocks, head for red nun "6," green can "7" and then flashing red buoy "8" at Ram Island. From here, you can follow the unlit buoys in to the harbor area, but keep in mind that the whole harbor is an extensive mooring area, and boats will be departing and arriving at their moorings at all hours of the day, and they are often hard to spot entering or exiting the channel. Aside from the obvious waterfront activities related to boating sailing and fishing, Marion has a vibrant Historic area, which is worth visiting if only to grab a look at the Victorianand Colonial-era homes. There is a natural history museum in town that is quite good. Major public transportation is not available in Marion, although a local taxi service can shuttle you around the surrounding towns if you have outside provisioning to do. Boston's Logan International Airport is located about 60 miles away, and although you can arrange for a shuttle from the airport, the cost is quite prohibitive due to the distance involved. No reviews yet! Be the first to write a review of Sippician Harbor.